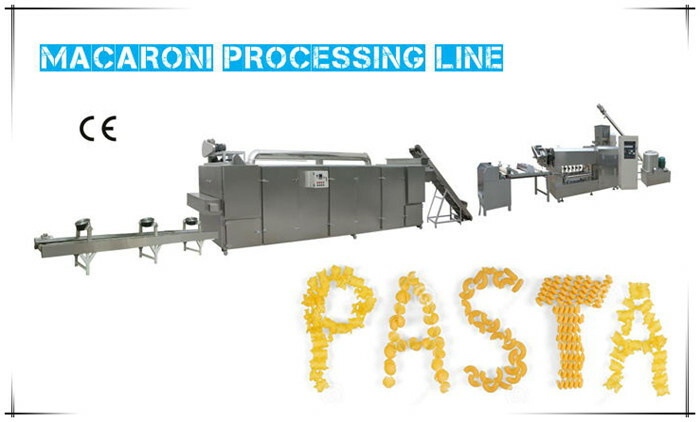 Pasta Processing Line is complete production solution for a wide range of typical short-cut pasta shapes. Over the years, dragon machine has continuously refined every component in the production process, building high-performance lines to customer specifications, including its exclusive VHT (Very High Temperature) drying system. The specified pasta extruder is particularly adapted to the modern requirements of production in terms of cost-effectiveness, flexibility, ease of use, hygiene and maintenance. 1. Quality construction and superior hygienic standards: stainless steel parts, easy cleaning, low loss of raw materials, etc.